Correctly installed and repaired, Fort Lupton roofing will definitely add value to your property and enhance its look. 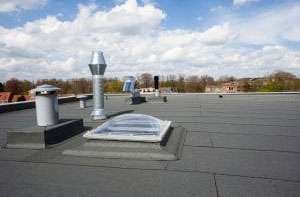 Whether it is a flat roof, or a tiled or slate pitched roof top, all are subject to the toughest of the climate and are more than likely, sooner or later, to require work. Detailed underneath most roofing, there are few common roofing conditions that a roofing contractor will come across on a regular basis. Generally, a sign of a more extensive problem, leaks are a major concern. Moisture causes the decay of roofing materials and therefore significantly depletes the quality and strength of your roof. Moreover, leaks can start just about anywhere; under flashing, around fixtures, and even in shingles and other materials. If you can see signs of a leak such as bubbling paint or stained ceilings, you should contact your roofer immediately. Leaks must be repaired in order to prevent further damage to your roof and property. 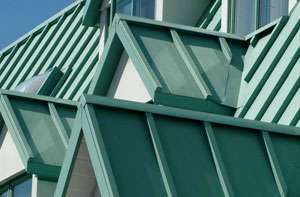 Some of the roof materials may begin to tent or bow over time, leaving the materials underneath exposed to wind and water. If the shingles or flashing are not properly laid, or they become weak over time, they risk exposing the rest of the roof to the elements. Wind can easily blow tented shingles off of the roof, leaving the base materials without cover. Shingles and flashing can crack as they age, leaving small gaps in the roof. The problem with cracked shingles or flashing it can be hard to identify visually and requires up close inspection to detect. This can be especially problematic in hot climates where cheaper roof materials begin to warp after a few years in the hot sun. Asphalt shingles are the most vulnerable as they can bend in the heat and are light enough to get carried off in the wind. They are usually a result of damage to the roofing material either by hail or wind. Usually the flashing and sealant around penetrations can get damaged leaving some parts of the roof exposed and not functional as they should be. It helps to have regular checks done on the roof to ensure that everything, including the sealant is actually in place and serving its purpose.